There is a major achievement in the field of Indian Wildlife with the assistance of the Wildlife Conservation Society and that certainly is the increase in the tiger population in India. For such a glorious success in India, the wholesome credit goes to the Wildlife Conservation Society who had initiated and maintained the project by protecting the additional habitat of the big cat and stringent anti-poaching patrols. 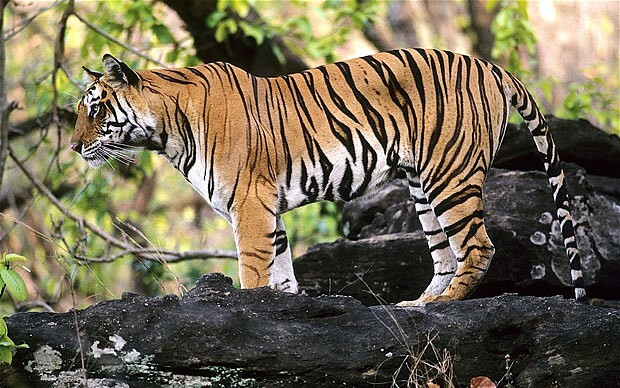 In Southwestern India, where WCS research and conservation efforts began 25 years ago, a major rebound of tigers in the Western Ghats region of Karnataka has taken place with surplus young tigers spilling out into the forest-reserves and dispersing using secured forest corridors through a landscape that holds over a million human beings. This mountainous landscape not only magnetized people for its natural beauties but over 600 wildlife lovers have been found capturing those majestic creatures in the vicinity of the Western Ghat’s reserves. The most pleasant fact is that the areas of Nagarhole and Bandipur National Parks have been packed with the tiger counts and the population of the species is actually attaining the saturation level. Even the newly established tiger reserves including Bhadra and Kudremukh have showcased the increase in count with as much as 50 percent prior to years of negligence and continuous poaching activities. This increase in tiger count is indeed good news worldwide when India’s jungles were in a continuous trap of the combined threat of poaching, loss of prey, and habitat destruction. WCS estimates that only 3,200 tigers exist in the wild. The strict action against the poaching and hunting with the government-led anti-poaching patrols and the voluntary relocation of villages away from tiger habitats; and the vigilant local presence of WCS conservation partners watching over tigers have guided the tiger-population. Walking on the same footstep, in Thailand the WCS reported a tiger comeback in Huai Kha Khaeng (HKK) Wildlife Sanctuary- a 2,700 square kilometer protected area in the vast Western Forest Complex. Meanwhile, the Russian Government officials are crafting a new law to transport, sales, and possession of endangered animals as a criminal offence and bringing strict punishments against the same. These ideas for sure have demonstrated practically how tigers can be brought back in emergent Asia.